With the rollercoaster that crypto prices are now on, it can be hard to remember the use cases of many coins outside of trying to, well, make money. A bright side that must not be forgotten is the fact that crypto has an increasing amount of presence in the real world. This is making people outside the current community more familiar and hopefully more likely to adopt. Cryptonews.com brings you a collection of 20 adoption cases, spotted all over the world (and the internet!). Although some may seem small or funny, every one of those plays a role in introducing crypto to the mass audience. 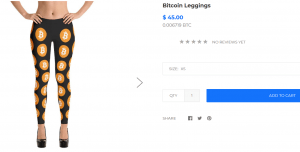 From brick-and-mortar places accepting Bitcoin or other cryptos, to clothes with crypto logos, each of these is a sure step towards being more often recognized and perhaps accepted. 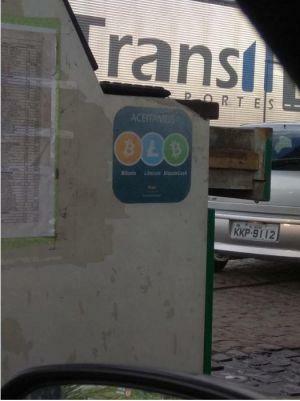 Spotted at a gas station in Brazil, this place accepts bitcoin, litecoin and bitcoin cash. The sticker looks slightly tattered, but let’s hope someone took them up on the offer! 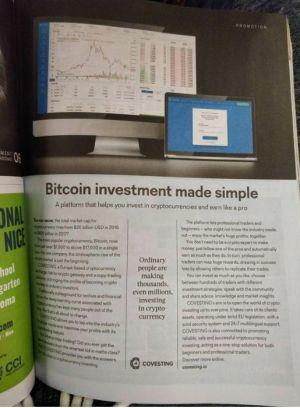 A spot in an in-flight brochure is actually a pretty great way to get out to the public and not restrict your sphere of influence to the cryptoverse. At the very least, people will learn about it! As our meme articles often repeat, nothing brings people together like humor. And when you see something on the Washington subway that seems like it could be funny, you won’t admit that you don’t understand the joke - instead, you’ll go home and do your best to learn more about it. 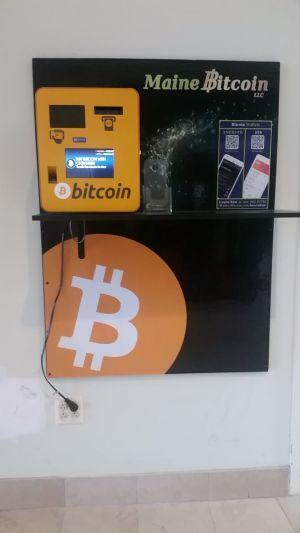 Bangor, Maine got their own Bitcoin ATM. 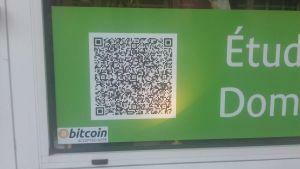 While Bitcoin ATMs are nothing new, seeing them spread throughout the world is a definite sign of adoption. “What happens in Vegas, stays in Vegas,” except when it’s crypto-related. 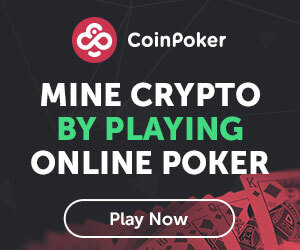 Although the design (and the Coinbase joke) may be slightly tacky, it’s great to see that crypto joins the Vegas fun. 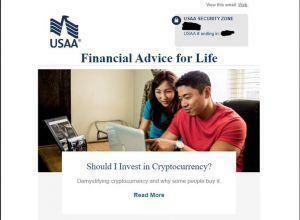 The United Services Automobile Association (USAA) sent this informational article to its 12 million members. According to people who received it, it says that cryptos are a thing of the future that they might want to familiarize themselves with. If you’re ever in Portsmouth, New Hampshire, this sign is bound to get your attention. Not only is it huge, but it also looks quite classy and the “shoppe” spelling will tickle a soft spot for Ye Olde English in you. 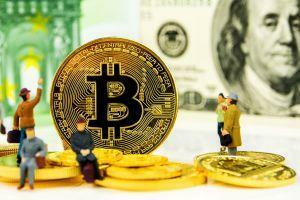 Although the other headline (the one not about Bitcoin) adds a humorous effect to the whole, it’s worth noting that the Federal Court seems to be accepting cryptocurrency as bail in the amount of USD 750,000 for Martin Marsich, a hacker. 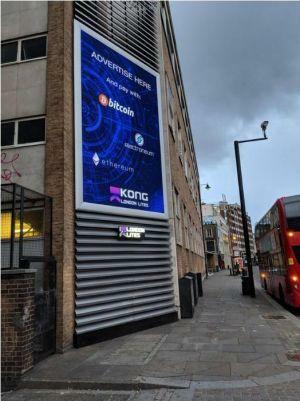 Found in London’s artsy quarter Shoreditch that is usually filled with young creatives and trendsetters, let’s hope they manage to set the trend of paying with crypto. Whether these leggins are expensive or not depends on your wallet, but if you can’t afford it, it’s just a matter of time before knockoff shops on Wish or Aliexpress start carrying these. However, the ability to pay for them with crypto is a nice touch - and we wouldn’t want them any other way. 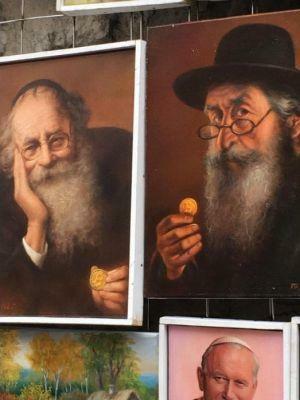 Polish old men looking at you slightly menacingly from paintings while holding Bitcoin coins is just the push you need to invest, right? After all, they are the wiser ones - they must know something we don’t! Bitcoin is coming to a skating rink in your area soon (if your area is somewhere around Beaumont, Texas, presumably). 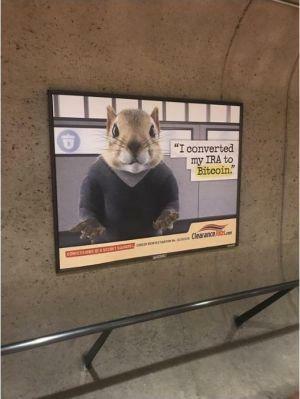 The person using it is bound to get asked about Bitcoin by others there. US presidential candidate for 2020, Andrew Yang, has recently announced that he is accepting crypto for his campaign. Although the user is yet to follow up with news about the uncle’s business, the news that businesses run by slightly older people are open to adoption as well is great. 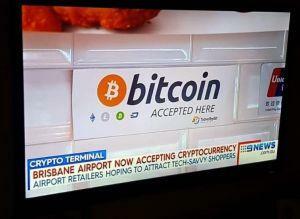 There’s your reason to travel to Brisbane! Although they don’t accept a huge variety, there’s hope that they will accept more at some point. 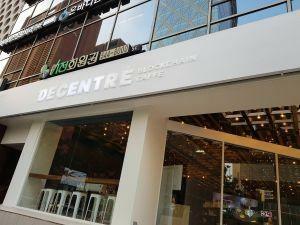 Spotted in Gangnam, Seoul (we sung it in our heads too), the Decentre Blockchain Cafe joins the brick-and-mortar businesses incorporating the technology. 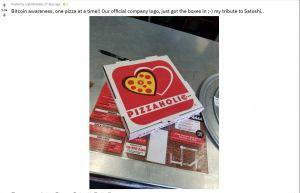 This Reddit user is living the dream - they’ve opened their own pizza place with Bitcoin in the logo. 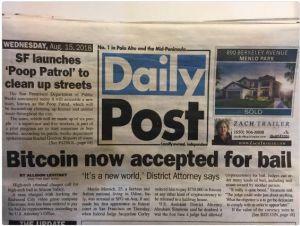 And of course, the place accepts bitcoins! Time to go to Thailand for a movie night, because Major Cineplex is accepting Bitcoin now! But with how much cinemas usually charge, one bitcoin may just cover your popcorn and soda. Thailand’s biggest cinema chain just started accepting $BTC. Time to pop that corn. 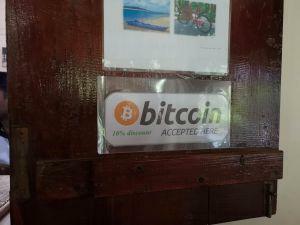 Found in Riviera resort, Batticaloa in Sri Lanka, not only can you pay with bitcoins - but you can also save money when doing it! And France joins the club! This is from the city of Le Havre, a contact card belonging to a small computer repair business. It’s a start!